James Bridge, about one quarter mile downstream from where Autumn Shirley and her family were stranded, was among several bridges in Ozark County that were washed away by flooding. 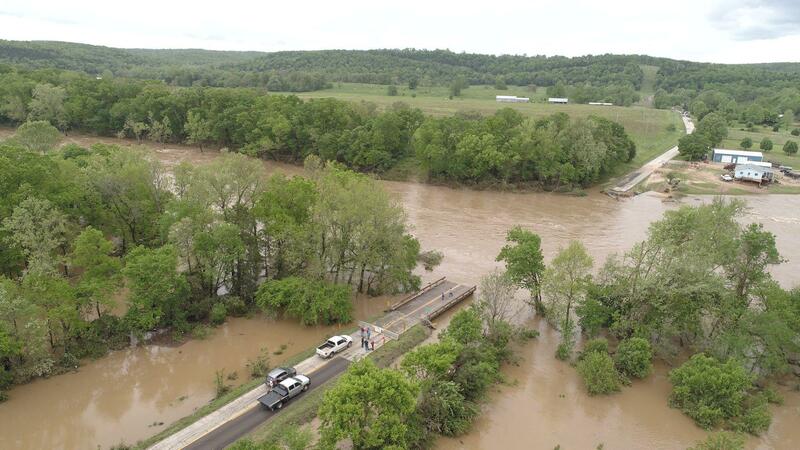 Heavy rains flooded much of Missouri over the weekend, covering roads and knocking out power. The floods reached historic levels in several places, including Tecumseh, Missouri. The town sits just a few miles north of the Arkansas border. Fast-rising flood waters stranded Autumn Shirley and her family on the roof of their house for more than nine hours this weekend. Shirley told host Steve Kraske on KCUR's Up To Date that they climbed a ladder on to the roof of their house after water reached the second floor deck. You know you see pictures of people in that situation with some regularity. What's it like being stuck up on a roof? I wish I could tell you. Every time I think about it, it feels unreal. It was terrifying. It was terrifying and cold and dark and loud and raining constantly. The rain never let up. We were on the roof for nine hours and it rained the whole time. And you say it was loud because why? OK. Well I mean the water of course was rushing, rushing, rushing, and there were buildings that were crashing down, and trees crashing down all around us. And it just was constant. It was swift and lightning and thunder. It was like being in a movie. The water was coming from where? For those of us who aren’t familiar with where you are in Tecumseh, Missouri. That’s the North Fork River. Really, it's just upstream from Dawt Mill if anyone’s familiar with that. And so of course the river was rising. That was behind the house, but then I really don't even know how this happened, but it was also coming from the front of the house [and normally] the house isn't surrounded by rivers. By the time we were on the roof, the water in the front of the house had joined with the river, and the house had become an island. How worried were you that the house might give way, too? Terrified. You know a huge barn went down right upstream from us and we were terrified that it was going to slam into the house, and there were trees all around the house. Any one of those trees if it had come down you know the wrong way it would have taken the house out … I mean our neighbor's house right downstream went. It’s gone, so we were utterly terrified that it was going to take out the house. And then what? Who knows. Who were you up there with in the roof? I was up there with my husband and my mom. We had come to try to do a little flood proofing, and we just got trapped. You know we expected a 25 foot flood like they were calling for — not a 40 foot flood. 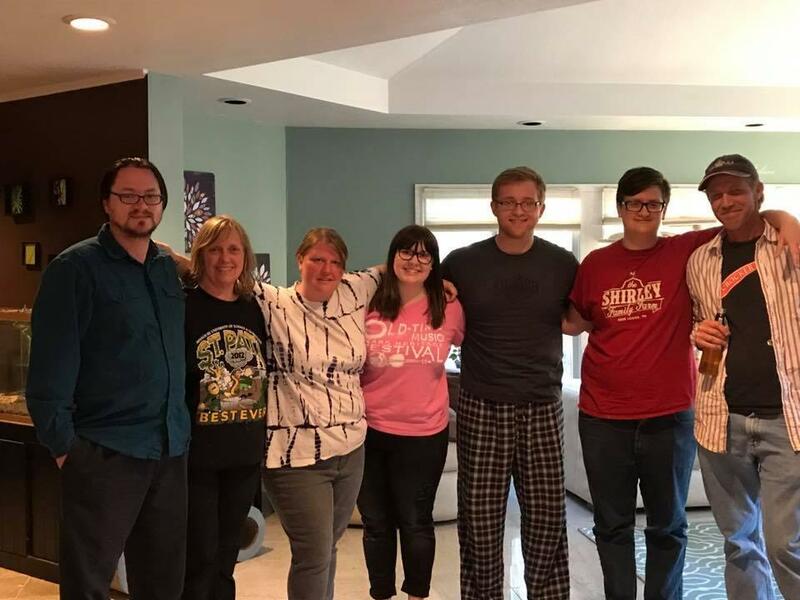 Josh Shirley, Peggy Donahue, and Autumn Shirley (from the left) were reunited with their family on Sunday. How were you finally rescued, Autumn? Rescue teams got to us at about first light, daybreak. They came in in an inflatable vessel, and we had to lower ourselves off the roof. By then, the water had receded by about five feet. And so the waterline was about five feet below the roof line. We had to lower ourselves off the roof using an extension cord that we had tied to the antenna on the roof and drop into the boat from there in rushing crazy water. It was amazing. What kind of cleanup are you expecting in that area now? Well for us, the house was completely flooded, so I mean obviously the whole thing is gutted. Several of our neighbors’ houses are gone. Four houses on that lane are just gone. The bridge, big James Bridge, just downstream from us is gone. I don't know how to say what kind of cleanup that is. Catastrophe level. Disaster level. Maria Carter is the news director for KCUR 89.3. Kansas City, Missouri, voters approved a series of general obligation bonds aimed at improving infrastructure throughout the metro, and totaling more than $800 million. Today, Councilman Quinton Lucas tells us how he expects the investments to affect local communities. Then, public libraries may be facing cuts at both federal and state levels. 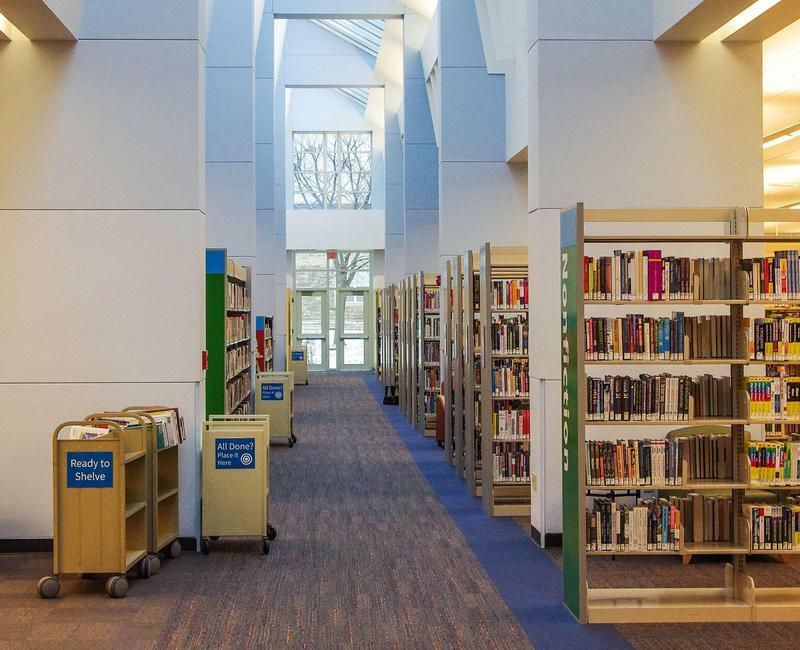 We speak with local library directors to find out how they are faring in an era of "skinny budgets." Rounds of heavy rain fell Friday evening leading to flash flooding in parts of the Kansas City metro area. Up to six inches fell in just two hours on parts of the city, leaving some downtown and Midtown roads impassable. 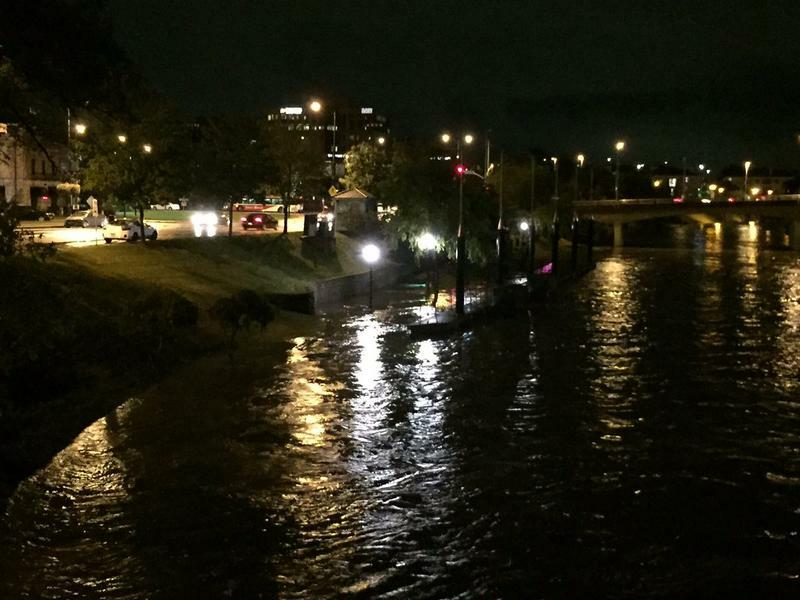 The National Weather Service issued a flash flood emergency for the immediate downtown Kansas City area. It was the first flash flood emergency ever issued for the Kansas City area by the NWS.